How does CBD work in your body? Cannabidiol interacts with a large system in the body called the Endocannabinoid System (ECS). Cannabinoids is the name for the whole class of substances that act on the endocannabinoid system. The ECS is not just a bodily system that just does one thing. This system is integrated in your body to work and influence systems in the body such as the cardiovascular system or the digestive system. It does this through what is called “Lock and Key” biochemistry. You have the primary receptors that make up the ECS, Cannabinoid Receptor 1 (CB1) and Cannabinoid Receptor 2 (CB2). These are the “Locks or Keyholes”. The endocannabinoids of which CBD is a type of, is the “Key” that causes this system to influence sleep, pain, memory, body temperature, mood, motor control and even appetite. These aspects are essentially affected by the “CBD Key” fitting into the Cannabinoid receptors “The Locks”. This tells your body when to get these processes started and when it’s time to stop. When this system is disrupted, you may experience dysfunction in some or all of the bodily processes listed above. The way CBD impacts the endocannabinoid system is complex and in no way obvious. CBD affects the endocannabinoid system also in two other ways by modifying the activity of this system’s enzymes and transport proteins, and the concentration of anandamide the “default” endocannabinoid. There is a key enzyme in the ECS called Fatty Acid Amide Hydrolase (FAAH) which breaks down or “metabolizes” a bodily chemical called anandamide. 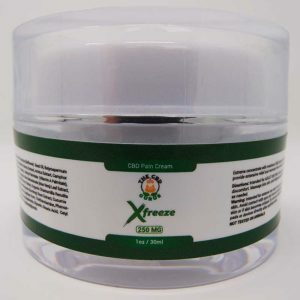 CBD interferes with and slows down the FAAH enzyme, allowing the body’s anandamide to be used by the ECS to naturally regulate bodily function. “The body produces some of its own endocannabinoids, but we get most of them from food, especially omega 3 fatty acids. In fact, a 2011 study linked a deficiency of Omega 3’s with mood changes caused by poor endocannabinoid regulation. A diet rich in Omega 3’s can also give your metabolism a boost and prevent obesity related diseases like diabetes.” Scientists have found a number of pathways in which the endocannabinoid system is used by CBD to have a therapeutic impact. One such study has been conducted by Dr. Sean McAllister and his colleagues at the California Pacific Medical Center in San Francisco. They seek to understand how through the ECS, CBD destroys cells by down-regulating a gene called ID-1, which is implicated in several types of aggressive cancer. Silencing the ID-1 gene is a viable potential strategy for cancer treatment. “Cannabidiol offers hope of a non-toxic therapy that could treat aggressive forms of cancer without any of the painful side effects of chemotherapy,” says McAllister. While are understanding of the endocannabinoid system is in its infancy, there is no doubt about the many vital roles it plays to our overall health and well-being. Someday soon we will completely comprehend how the ECS, influenced by CBD regulates how quickly neurotransmitters are being released and slowing them down or speeding them up as necessary in order to return to and maintain the body’s internal balance.